Janet Burnett Service Details - Newcastle, Ontario | Newcastle Funeral Home Ltd.
"Janet, while this candle may only burn for a year in your memory, the light you brought to my life will burn in my heart forever. I love..."
Pontypool Ont. 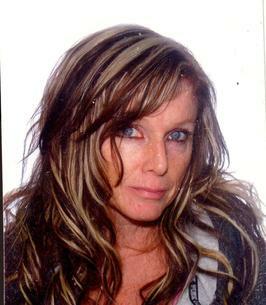 & Sandra Dawn Williams, Hunstville Ontario. Loving Mother of Paul Burnett Jr, 26 and Jaccob Burnett, 21.
a great argument for a debate, and proved to be a tough competitor. Her spirit proved to be far to free to be tied down to a 9 to 5 desk job. went. She had the best sense of humour, an infectious laugh and an amazing smile. joy, unconditional friendship and love. remembering the fun times riding her. Aunt Bev & Uncle John, Aunt Mary & Uncle Bruce, and all her loving friends. whom we thank for their generosity and support during this difficult time. 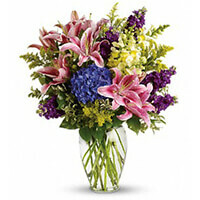 To send flowers to the family of Janet Lynne Burnett (Marshall), please visit our Heartfelt Sympathies Store. Paul Sr, Paul, Jacob and family. Our sincere sympathy. Remembering the 718 Cadet Squadron, Port Hope. Times were fun, family orientated get togethers, great memories. Bev, Ron, Anthony and Rebecca (nee Lang) Now Walker. Your mother was a beautiful person inside and out. She was a joy to have as a partner at work, and spend quality time with. She will be greatly missed. My sincere sympathy . Janet, while this candle may only burn for a year in your memory, the light you brought to my life will burn in my heart forever. I love you always my beautiful sister. Paul and Jaccob, We are so sorry to hear about your loss. Your mom was a truly genuine and caring person that saw the good in everyone! She would not hesitate to go out of her way to help others. Cherish your memories of her. She was so proud of you both!